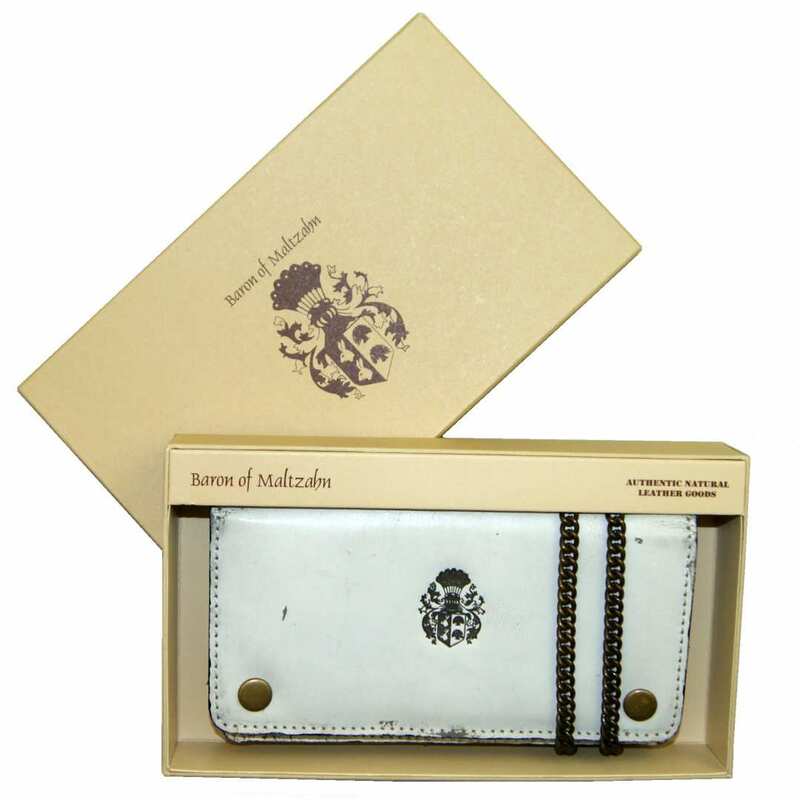 Product information "Biker wallet with chain SACHAROV of dusty-white leather"
The biker wallet SACHAROV of dusty-white leather is perfect for all those who attach importance to fashion, quality and functionality regarding clothing accessories. A valuable processing and a functional design: these factors are worth a second thought when acquiring a new wallet. 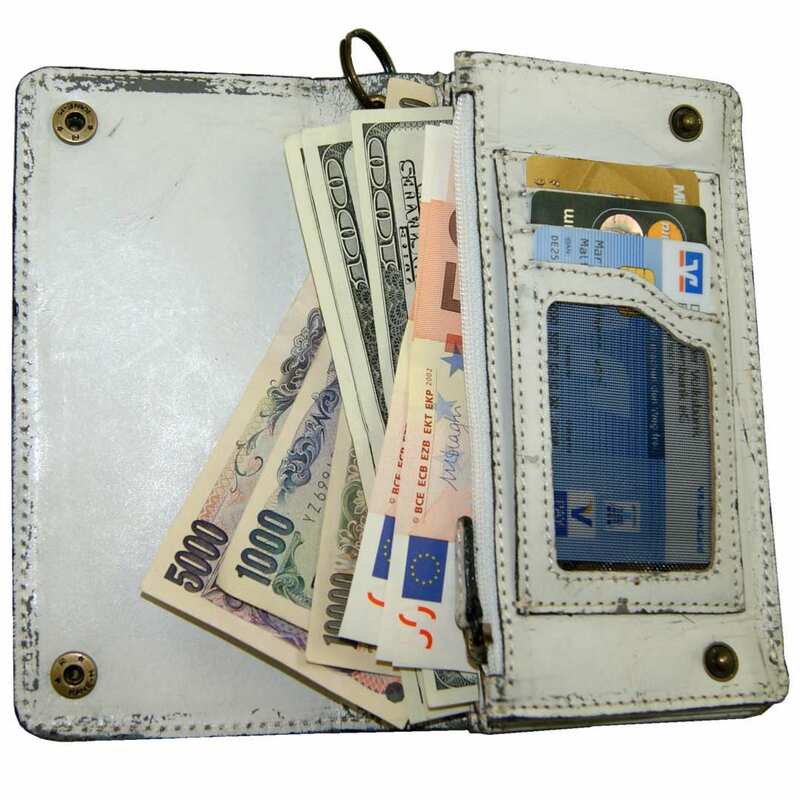 The appearance of your new money purse is also decisive, since a wallet is not only a practical item, but also a fashionable accessory that speaks about your personality. 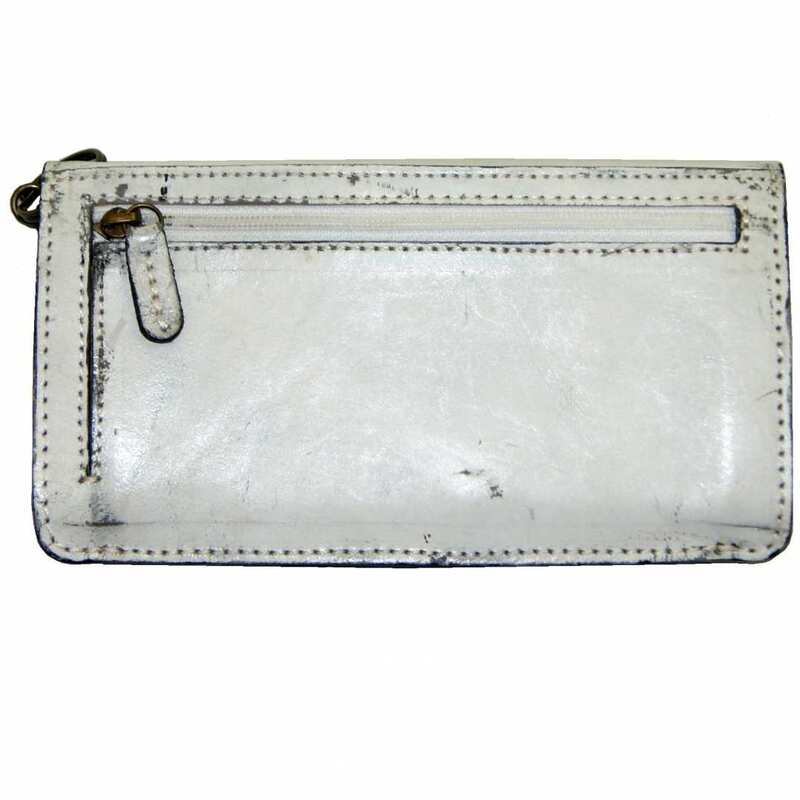 The biker wallet of dusty-white leather is as elegant as it is spacious and sturdy, thereby it is a first class purchase! 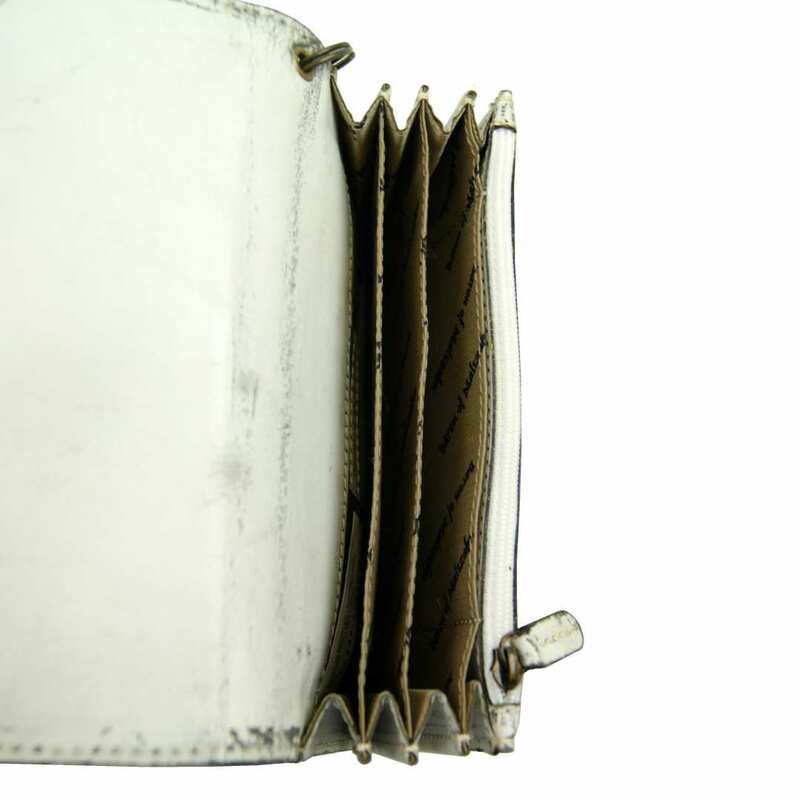 The biker wallet SACHAROV of dusty-white leather combines a trendy design with reliable functionality and therefore fulfills all optical and practical requirements. The white leather in fashionable style contrasts elegantly with the black crest embossed on the surface. 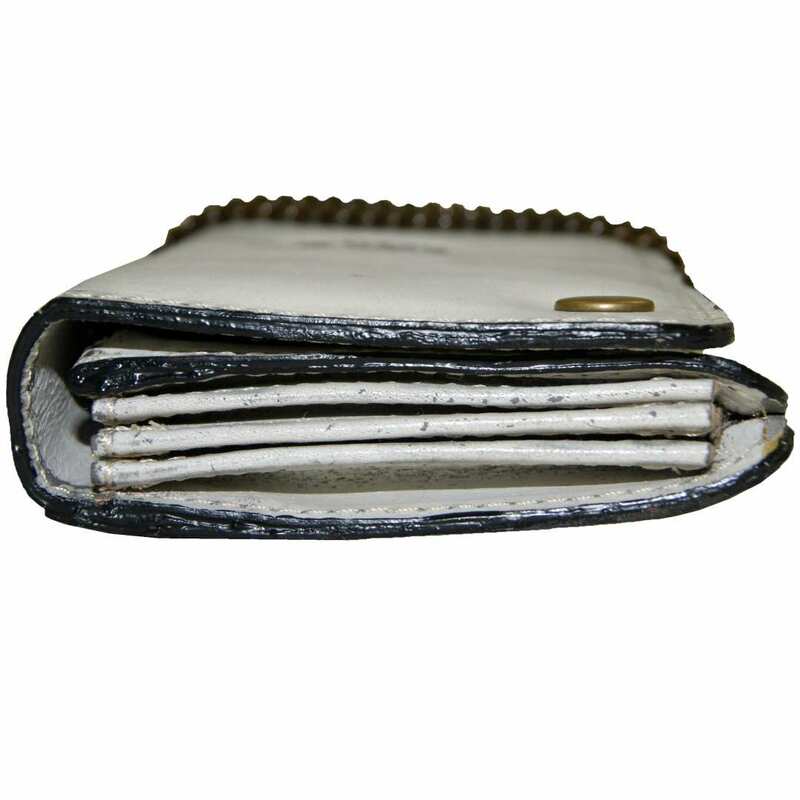 This money purse also offers you enough space to keep coins, bills and documents well and clearly arranged. 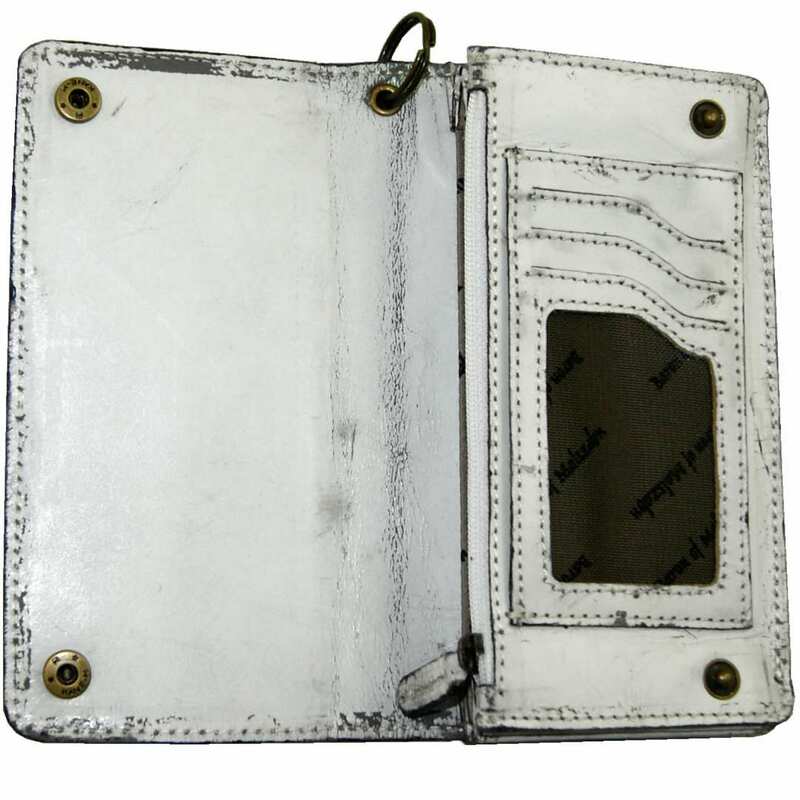 The biker wallet SACHAROV of dusty-white leather certainly fits the bill in every sense! 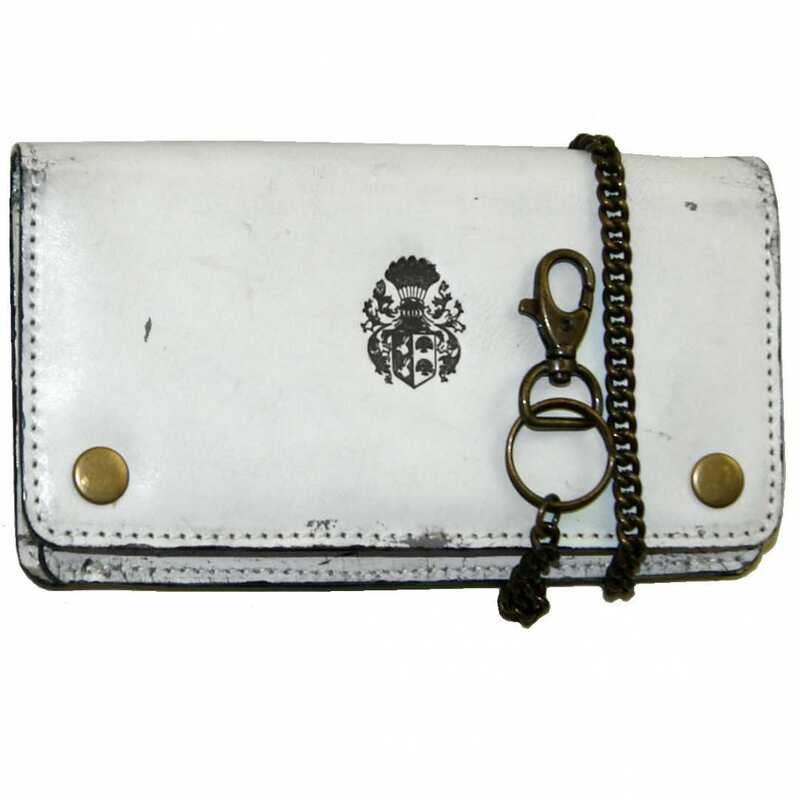 The biker wallet of white leather consists of manually processed white leather in antique design and valuable metal fittings, including a detachable chain with a carabiner. 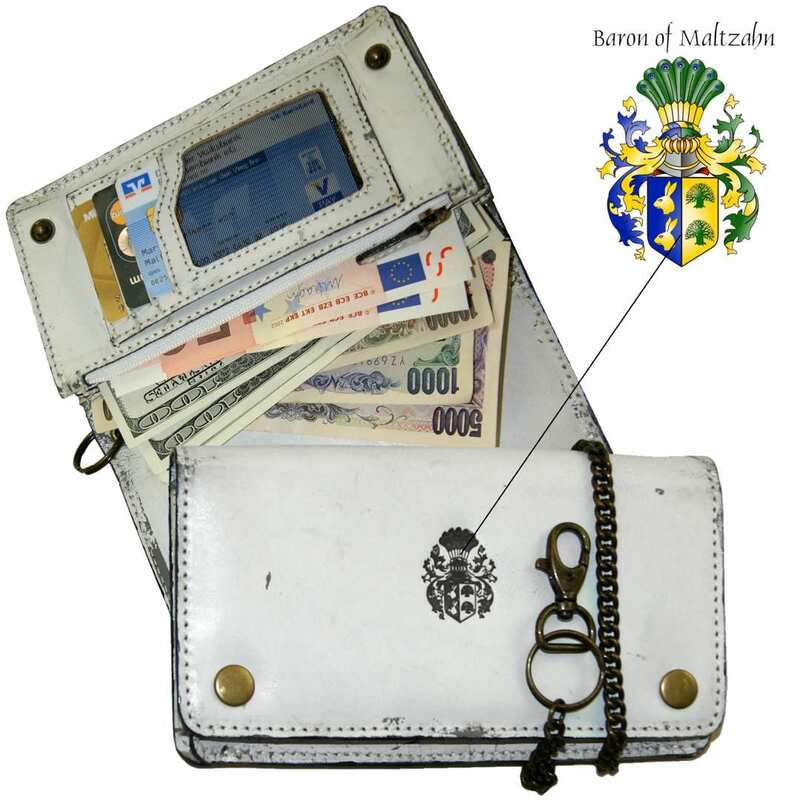 Three bill compartments, one big zippered coin pocket on the back side, one spacious zippered section and one extra back pocket, three card slots and one extra pocket for the ID provide enough space for cash, credit cards and documents. The crest of the noble designer is embossed on the front side in an elegant black shade. Take this opportunity and enjoy your new wallet of dusty-white leather! Reviews for "Biker wallet with chain SACHAROV of dusty-white leather"